This project is a perfect example of how our Plant Centric design process results in greenhouse systems that exceed our customer’s performance expectations. We started with the plants needs, and kept them in the forefront from start to finish. How do the plants requirements change? How does the environment change? What is the plant size, what are the flat and pot dimensions, how many starts, time on bench, number of turns per year? We designed the bench systems around that information. We then designed the greenhouse around the benches and the handling requirements. We designed the equipment around the plant. 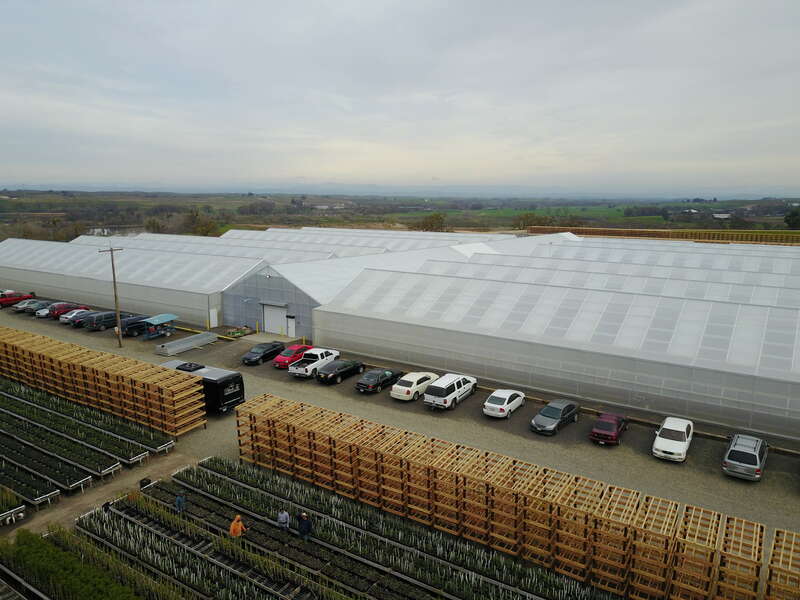 We incorporated a central head house area into the project so the planting, transplanting, shipping and receiving were integrated into the greenhouse production system. The bottom line? Crop cycles improved from 9 to 7 weeks per turn. A 29% yield improvement. Not bad for free consulting service included with the Agra Tech greenhouse. This was a planned 3 phase project. Phase 1 and 2 met the expected production of 3 phases. The 3rd phase was not needed. The customer realized capital savings and increased profitability by operating a much smaller facility with the same output.